We are a coveted organization that manufactures, supplies and exports a vast array of Modular OTs. These products are manufactured using finest quality material that is sourced from vendors of high repute. Before final dispatch, these products are thoroughly inspected on certain well-defined parameters of quality so as to ensure their defect-free nature. Our reasonably priced range comprises Gas Outlet Point, Bed Head Panel and Vertical Bed Head Panel. Our company specializes in offering qualitative range of Modular OT. These are widely used at various sectors of the medical industry and are made using qualitative steel. Our OT are made in compliance to the set international standards and are highly cost effective. These are installed with all kinds of modern tools and equipment required for the operation fulfilling the requirements of a modern OT. With the help of our experienced engineers, we are able to designed and developed a qualitative Modular OT. These has been manufactured of finished steel and are jointed with a sterile coating. Our OT are per-engineered and solves the problem of all kinds of infections. These also consists of day time clock, elapsed time clock, light control system, temperature display & control, humidity display & control, HEPA filter status, medical gas alarm and hands free telephone. We have in our store a versatile collection of Modular OT. These are made using qualitative structural steel procured from the trusted vendors. Our products are highly verified and safe to use. These are made as per the set international standards and availed at market leading prices. Our theaters are highly cost effective and are widely demanded all across the globes. Our domain expertise has enabled us to come up with an excellent Modular OT. These are made using qualitative steel. 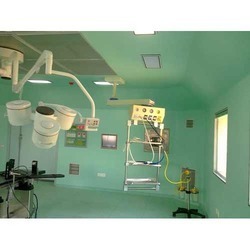 Our OT are widely used in various medical sectors and are made as per the set international standards. These are widely known for their optimum quality and easy installation in compliance to both domestic and international quality standards. Prevention of contamination build up. We are instrumental in offering a wide range of qualitative Modular OT. 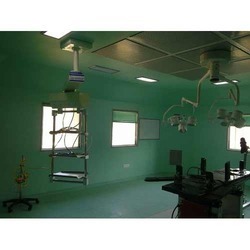 These theaters are fabricated as per the set medical standards. Our operation theaters are fitted with the unidirectional- vertical laminar flow which is also inclusive of a structure having a top plenum confirming the set international standards. We have gained expertise in providing a qualitative Modular OT. 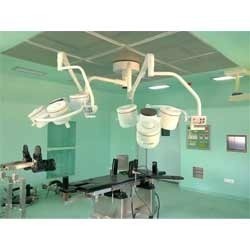 These theaters are fabricated meeting all the needs and requirements of an advanced operation theater. Our theaters manufactured using structural steel to bs 4360 and are specially designed to htm 03-01/ htm 2025: specialized ventilation for the health care premises. In addition, the steel plates used for the structural panel are designed from the superior quality electrolyzed steel. 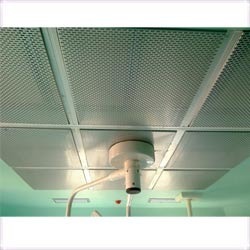 These have become the preferred choice of medical experts due to its self sterilized coating and anti-static flooring. Our company caters to a wide market for Modular OT. 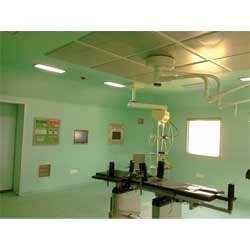 These are made of qualitative using structural steel fulfilling all the requirements of an advanced operation theaters. Our OT are widely used in various medical sectors. These are made in complete compliance with the international standards of the medical sector and are widely known all across the globe. Owing to our rich industry experience, we are offering a qualitative Modular OT. These are made of finished steel structure with joint less sterile coating providing a superior quality finish. 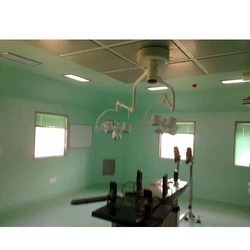 Our OT are pre fabricated and are solves the problem of all kinds of infections. These are fabricated with free air flow vertically or horizontally and are usually combined with the higher efficiency of air (HEPA) filters.